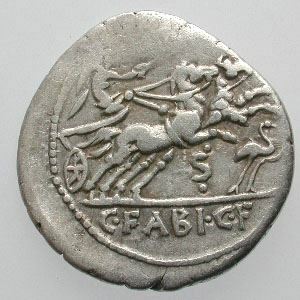 Gaius Fabius Hadrianus was one of the moneyers for the year 102 BC. He was later was praetor in 84 BC and propraetor 83–82 in the Roman province of Africa. He is known primarily for the sensational circumstances of his death: during an uprising at the beginning of Sulla's second civil war, the governor’s residence was set on fire and Hadrianus was burned alive.